Pack a picnic lunch and join us for a leisurely hike (under 3 miles) on Buffalo Mountain as we search for wildflowers. Some rare plants we may see include: Gray’s lily, bog twayblade, mountain sandwort, and rattlesnake root, among others. 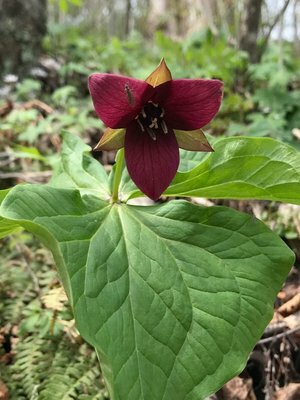 We also expect to see the usual spring suspects: trilliums, lady slippers, Solomon’s seal, bloodroot, saxifrage, and many more. Interested in joining us? Please complete the registration form by following this link: https://blueridgediscoverycenter.org/events-blog/buffalomountainwildflowerwalk?fbclid=IwAR2xnBdHks8zINSg03O2p7jYKtBfd4q2YkBlkFwv0TMZ0Sk2A_k4sS_Qiqk . Additional information will be sent to registered participants prior to the event. This event is FREE to members. The fee for non-members is just $10.